From the makers of the smash-hit Coin Dozer, downloaded by over 10,000,000 players! 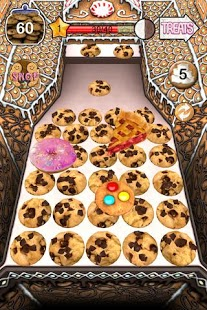 COOKIE DOZER comes straight from your favorite arcade or fair park and onto your Android! The game you’ve spent countless hours playing, now in the palm of your hand! No change needed. Push delicious chocolate chip cookies and treats into your hands by dropping some from your jar into the machine. Watch out though! Try not to push them off the sides and back into the oven. 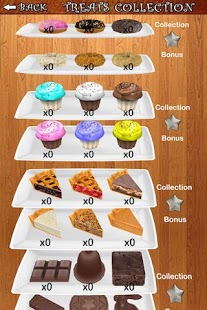 Collect cupcakes, chocolates, pies and more for special bonuses or even more cookies! It’s ok if your cookies run out, more will be flying out of the oven and into your jar very soon Keep checking back to complete your collection of sweets! 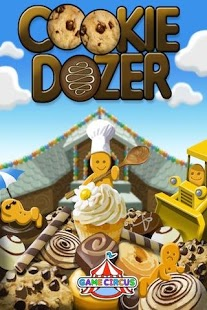 Cookie Dozer brings your favorite gameplay elements from Coin Dozer and adds some sugar and spice! Out of coins in Coin Dozer? Take a break and come play Cookie Dozer! There is a fresh new batch of cookies fresh from the oven! ★ Over 40 cookies and treats! Also, check out \”Coin Dozer\”, and Coin Dozer: Seasons!